Aromatherapy oils of Lavender & Rosemary together fight wrinkling and sagging of the skin with the anti-oxidant benefits and your skin is left looking young & radiant! 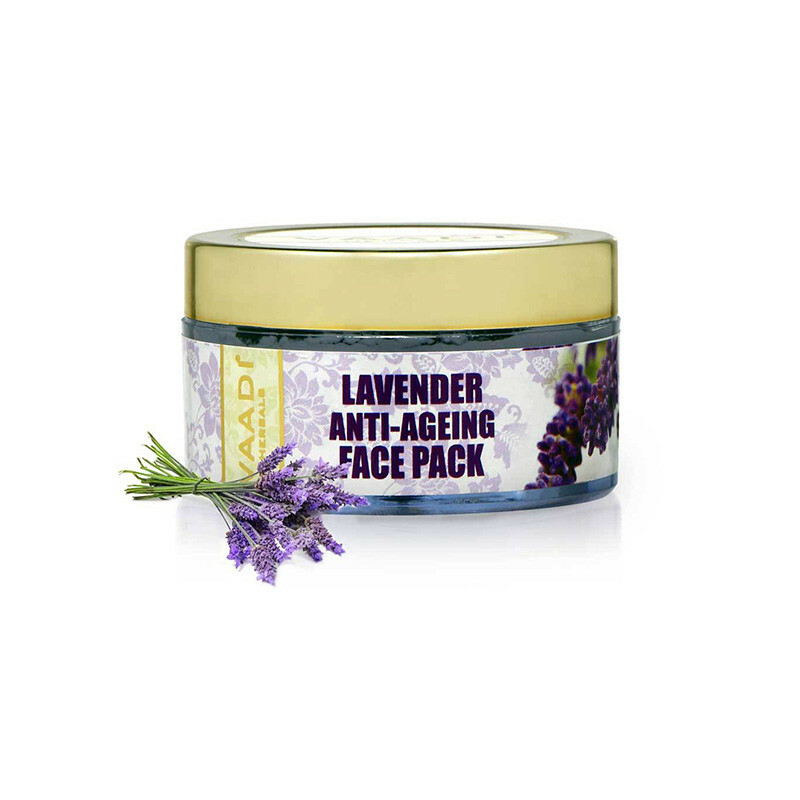 Face-packs are usually meant to nourish and pamper the skin. However, their effects depend largely on the ingredients used. A good face-pack would usually have a two-way action. One is instantaneous, which can be experienced on immediate application; such as hydration, cooling, soothing and refreshing and protecting them from age and sun-related damage. Some may also boost the production of elastin and collagen; thus keeping the skin soft, firm, and wrinkle-free.